This has been a slow month for lots of things pertaining to this blog, and yet one of the most eventful months of my life. My husband has started his new career as a nurse, my youngest child has scooted off to kindergarten, and I have started working five days a week, 9am-230pm. As a writer. Pretty cool, huh? August is also my birthday month. So happy birthday to me. And Owl and Zebra Press got its first real snail mail at its PO Box, which also happened to be the certificate from the Library of Congress, letting us know that Benevolent (including the art and editing) is officially copyrighted and on file at the Library (with a big L). And I joined a local writing group, finally. And when I returned from visiting family in New York, I discovered that Benevolent is Indie Reader Approved! 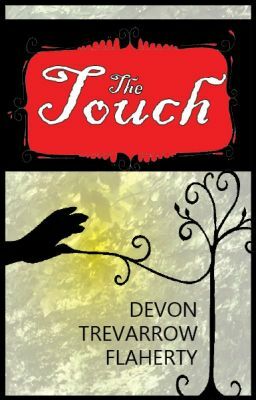 Check it out if you want to read the review. It is very nice, I think. Pacific Rim (2013), which I got to see at the theater on our annual Syracuse date, after a great meal at Kitty Hoynes in Armory Circle. 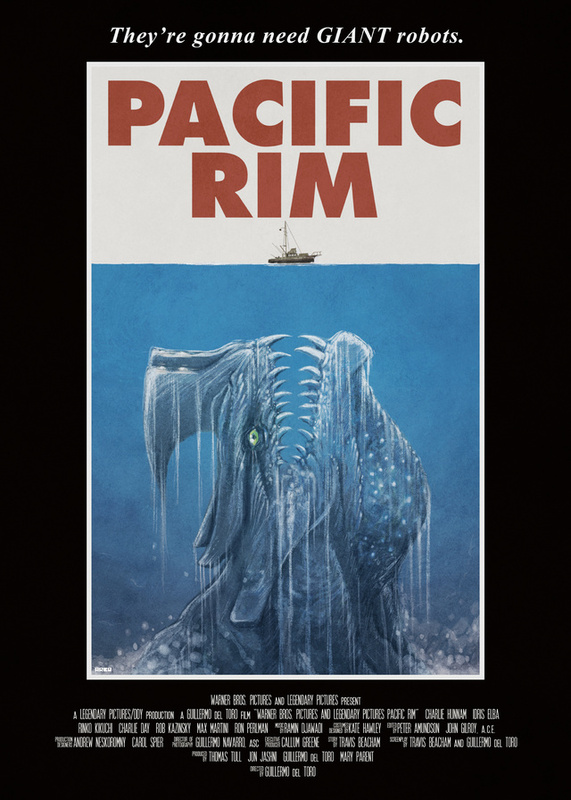 I really like Cloverfield, so we though I might like this new, modern kaiju movie. I did, but with limitations. It wasn’t something I would watch over again or recommend too strongly, but it was good, clean fun nonetheless. Entertaining. Maybe a little scary. Predictable. And interesting, too. Spurs conversation, not about the movie itself so much, but about mind melds and Japanese film. N aked and Afraid (series, 2013-). When I first heard about this show, I made fun of it. I mean, what is the state of our culture when we actually have a reality show where they drop two strangers, naked, into a harsh environment, and film them for 21 days, hoping they survive and do something interesting? Well, I’ve only seen a few episodes, but strangely enough, I sort of enjoyed it. I don’t know how long I could watch the show, but a few episodes are enough to get you spinning psychological and anthropological hypotheses like a professional. So, more interesting conversation. 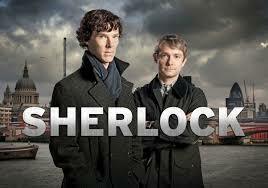 She rlock (British series, 2010-). I am not the only one who loves this series. It’s not all airtight or anything, but it is addictive. Originally, I understood that the smart and fun series based on Sir Arthur Conan Doyle’s books was complete at two seasons of three 1-and-1/2 hours episodes each. However, they left season two with a cliffhanger, and have announced that another three-episode season is on the way… some day. Until then, if you haven’t already seen them, you’ll want to get them on your Netflix or Hulu or Amazon Prime or whatever. Yes, you will. 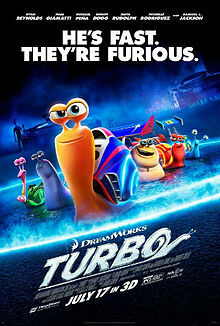 Turbo (2013). Rounding out the month very nicely, I spend a mommy-son date at the end with Eamon, a bag of popcorn, and tickets to Turbo. Admittedly, it starts slow, but it eventually delivers, making it one of the better kid movies of the year. But be forewarned: themes of prospering through bucking authority are prevalent, as well as themes of being able to accomplish anything–even the physically impossible–if one just applies oneself… or wishes on an airplane. I personally believe these are two of the most tired and dangerous themes in children’s entertainment, but it is everywhere.